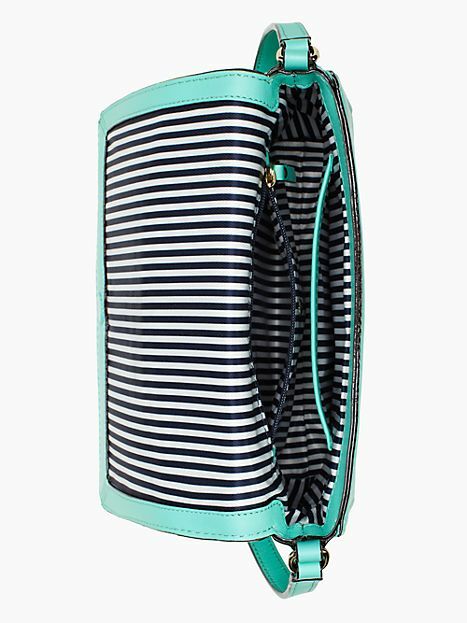 Kate Spade and Woman Stuff. (And My Mother.) – This Square Peg. 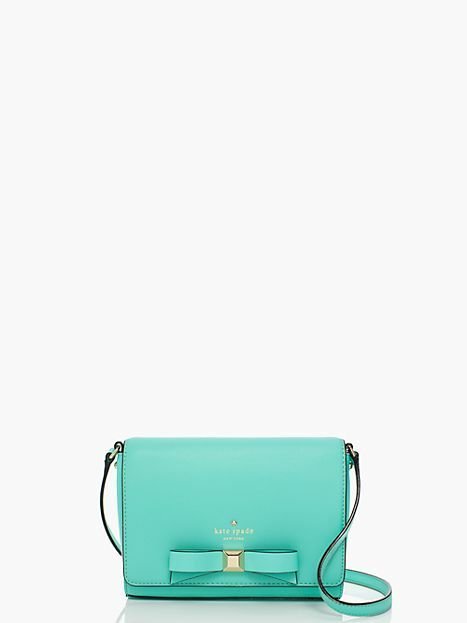 This is the Holly Street Rubie Bag, by Kate Spade. I want it so bad I can taste the blue on my tongue. If you click on the link for the bag, you’ll see the price tag. As much as I love handbags and purchase them both cheaply and at will, the idea of paying that amount for a bag seems illegal somehow. Illegal and wrong. I said as much to my mother. It doesn’t matter. You’re a young woman. Stop buying cheap and make the investment. I tend to laugh off similar comments from my mom. She who wants her four children to pool their monies and gift her with a Mercedes Benz because, well, that’s what children do for their mothers who love pretty cars. (Seriously, we would, if our pooled monies would actually amount to something.) She who conversely chided me for spending money to do my hair at a particularly broke time and lectured me about “responsibilities.” (It didn’t make sense to explain how a good hair day makes one’s day livable, sometimes. She disagrees!) The lady is a mosaic of emotions and points of view, no? So when she made the remark about the investment, I just chuckled and reiterated that offering my credit card for a bag with that tag would cause me to lose about a week’s worth of sleep. But I kept looking at that bag. Here, look at it again. Look. My mother feels that earrings, bags, and, well, Mercedes Benzes are always worth the money. (But, weirdly, not hair? Ah, well.) Because those things are part of womanhood, at least the first two, and they shouldn’t be acquired cheaply. I, on the other hand, have never looked at those things beyond the role they play to accessorize me. So if I acquire such things at a cheap price, big deal, right? Mom even tells me that when I was young and she would decorate me with earrings and bracelets and necklaces for special occasions, by the end of the day, those things would be pulled off and discarded, never to be found again. Maybe, even back then, I looked at those things as merely functional and replaceable. I recognize the value of an investment. Yet I recognize the cardiac arrest that will surely come if I buy that bag. (Outlet prices still won’t be that forgiving.) I also recognize that This Square Peg needs to give up her cheap ways, at least a few of them. Should I buy the bag?? Previous Post Amy, Amy, Amy. yup! buy the bag, see if you die. if you don’t, you can live with a beautiful kate spade bag and you never have to buy an expensive, designer bag again if you don’t want to. but if you do die, can i have your kate spade bag?? 🙂 smile. I’m not a handbag girl, so I wouldn’t. That’s a tough one. I have a hard time paying full price for anything, even when it’s a good investment. See if 6pm.com can do something for you. Thanks for sending that. No bow, but it’s gorgeous, and so is the price tag. Hmmmmm…. Aaahhh moms. They can be quite the enigma! I dunno girl… This is a tough one. Well, for me, it wouldn’t be THAT tough because I’ve never spent more than double digits on a purse myself. BUT, hey, if you have it and can still pay your bills- in their ENTIRETY- afterwards, go for it. I’d probably wait for a sale (although I peeped the sale section & didn’t know whether to laugh or cry at the prices) so the damage wouldn’t be to great. It’s soooo cute though! That cuteness, though. The struggle. 😉 But I like that advice: if I can pay my bills in their entirety after buying! 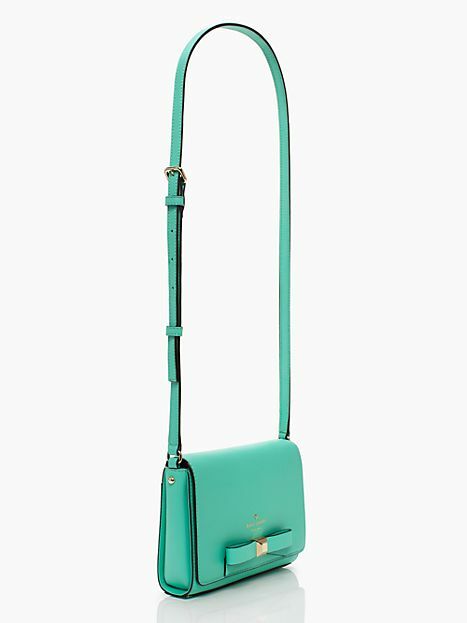 Alicia sent a link to a similar bag and a price tag that may not cause night sweats so I might look into that. Thanks! Pingback: Making Statements. | this square peg. Pingback: Fabu Fashion Wednesday. | this square peg. Pingback: Give Me the Panic Attack with a Side of Nervous Breakdown. And a Diet Coke. – This Square Peg. Pingback: Fabu Fashion Monday: Wedding Fro/Flow – This Square Peg.